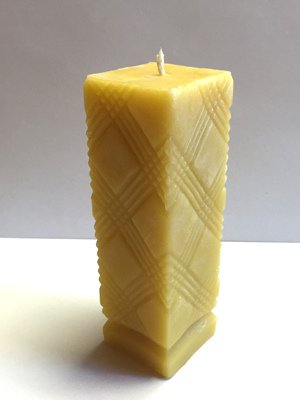 Our beautiful Textured Pillar Candle is 1 3/4" X 5 1/2" and is made of Pure Beeswax. It burns cleaner than other candles and lasts much longer. Tests have given us approximately 7 hours of beautiful burn time.